Sing a new song to God, who has done marvellous things. We are to be blessed on Sunday 10 November with another visit by The Gospel Folk, ably directed by Brian. For their last visit over a year ago now, we concocted the short and sweet tune ‘Taste and see’, a tune that’s easy to swing and give a gospel touch. The gospel tradition includes the solo rendition of favourite songs: but essentially it’s more about the people’s expression – choir, congregation, collective action, community and identification, expressed by such things as call and response, good harmonies, clapping, calling out or echoing significant ideas and words. 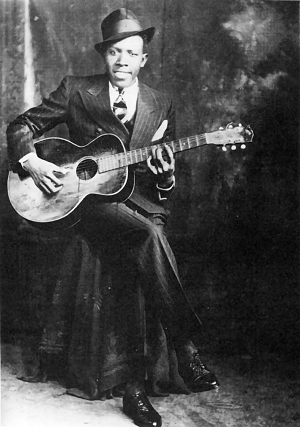 The blues came from the heart of the ‘deep south’ music, work songs, field calls, simple chord progressions that everyone knew without dots or paper. So we take advantage of the rhythm and freedom of The Gospel Folk singing with us to express the psalm in 12-bar blues. Choir and people respond with the ‘antiphon’ – a word more suited to historical Europe than to the American cities of the ‘Dixie’ states – and of Martin Luther King, honoured in last week’s observance of All Saints’ day. In this setting, it’s a response to the call, sung with energy and conviction and joy.